Attorney Jill Anne LaZare represents clients in matters of business, divorce, and family law litigation. If you are seeking a skillful litigator to represent your interests in court, please contact the Law Offices of Jill Anne LaZare, LLC, today. She is a thorough, highly-skilled professional. She provides excellent client service. Ms. LaZare fashions her representation of clients on her positive and not so positive experiences with attorneys with whom she has worked both as an attorney and before she studied law. She knows the anguish with which clients are faced and appreciates their daily frustration when they cannot reach their lawyer. Ms. LaZare continually strives to be accessible to her clients giving them the benefit of her legal expertise and assuring them that they are not alone in their strife. The law isn’t just a job to Ms. LaZare. Your legal matter isn’t just another case. She identifies with each client and cares about his or her needs. She works diligently, using the law as a tool to solve clients’ problems. She provides exceptional legal representation and personal service to clients. Clients appreciate her compassion and respect her for her strength. Ms. LaZare is a strong negotiator and an excellent litigator whose courtroom skills are respected by colleagues and judges alike. Ms. LaZare is meticulous in the preparation of each case. Her skillful work translates into positive results for clients. Attorney LaZare represents family and business litigation clients throughout New Jersey, including residents of Union County, Middlesex County, Morris County, Essex County, Hudson County, Bergen County, Passaic County, and Monmouth County. 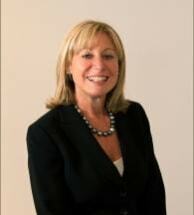 Ms. LaZare represents business litigation clients in the New Jersey and New York state courts. She is admitted to the United States District Courts, Districts of New Jersey and the Southern, Eastern, and Western Districts of New York as well as the United States Court of Appeal for the Second and Third Circuits.